Charged iPads, tired eyes, and whole lot of carelessness seem to be some characteristics among Conant freshman in the first two weeks of April. As freshman click on their keyboards and sign in to take yet another component of the PARCC exam on April 19, a common theme resounds. It’s a similar to the theme that the class of 2018 exhibited when PARCC was first administered at Conant last year: apathy. In an effort to rebel against the woes of yet another standardized exam, freshman fail to understand the importance of the PARCC exam on themselves, their peers, and Conant High School. Here are three reasons why students should put aside their rebellious spite and take the PARCC seriously. 1. The PARCC is a reflection of Conant as a high school. The PARCC is said to replace the ACT as a reflection of the college readiness approximation for students in Illinois schools. Students disregarding the exam could have negative impacts on Conant’s reputation and national rank, which would only lead to negative repercussions in other aspects of students’ educational experience. For example, aside from property taxes, schools receive a certain level of per pupil foundation funding and Title I federal funding from the NCLB. According to evanstonnow.com, a local news source, Evanston/Skokie School District 65 Superintendent Paul Goren issued a statement that the district could lose up to $7 million in state Title I funds if it did not administer the PARCC test in compliance with state law. Furthermore, the superintendent said that all districts in the state had received a similar warning from the state superintendent about the financial consequences. Schools that perform well on tests like PARCC show the state that the funds are worth spending in those sectors. However, schools that underperform exemplify to the state board of education that funds are being wasted because effective growth is not being achieved. Having and maintaining this additional funding at Conant would allow for athletic and educational programs to be the best they can be for students. More resources can be allocated and more activities can be made available by doing well on the PARCC test. Students at Conant are very bright and capable and can easily reflect that on the PARCC test with the proper training and attitude. After all, good scores mean a better high school experience. 2. 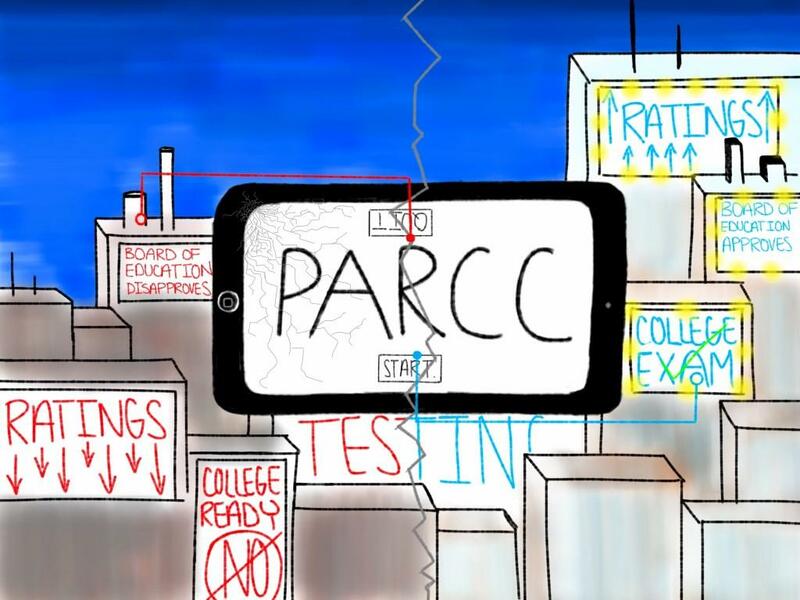 The PARCC is a step into a new world of standardized testing. Many students don’t take the PARCC test seriously because they find it to be difficult or they don’t think that it’s comparable to their future standardized tests. However, the PARCC test introduces a new form of testing many college entrance exams are shifting towards. For example, the PARCC exam and other common core tests not only ask students to answer question based on a reading comprehension passage, but they also ask students to support their answers with text evidence in the next question. What this does is force students to have to understand their answers to a greater extent and be able to logically support them. The PSAT and new SAT use some of the same strategies in their testing formats. The PARCC and other new standardized tests focus more on critical thinking rather than guessing, which often times discourages students because of the challenge posed. However, many tests are shifting towards these methods. Instead of disregarding the PARCC, students and teachers should focus on preparing by practicing techniques because they are comparable to important college admissions exams. 3. PARCC reflects student and teacher abilities to the Board of Education. Conant is a great school with exceptional teachers and driven students. When students choose to blow off the PARCC exam, they are making themselves look bad in the eyes of the district and the state. Students need to remember that every standardized exam they take is recorded and is a reflection of their own academic progression. Many students have lots of potential for academic success and shouldn’t soil their record by deciding to rebel against a few extra test days. Additionally, teachers at Conant work hard to optimize the educational experience of all students no matter their level. Working hard and performing at the best of their abilities is a great way for students to show their appreciation towards their teachers and reflect upon their teaching positively. Last year, many students treated the PARCC test with apathy and therefore falsely represented themselves, their teachers, and Conant High School. This year, it’s time to change and represent the potential that Conant truly has. Conant’s class of 2019 needs to take the PARCC seriously. After all, it’s a few days of hard work and testing in exchange for three years of an improved educational experience. Dhvanii is the editor-in-chief and a senior. This is her fourth year on the staff; she was also editor-in-chief last year, a Features editor her sophomore year, and a writer her freshman year. Dhvanii is looking forward to a great year leading the staff. 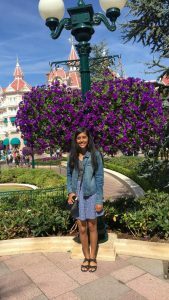 At Conant, Dhvanii is captain of the Debate team, a leader of HOSA, and also member of BPA and the Principal Advisory Board. Outside of school, Dhvanii likes to volunteer and binge watch her favorite TV shows. An interesting fact about Dhvanii is she is a black belt in karate. Are for-profit schools scamming unsuspecting students? Taking PARCC tests seriously will only encourage D211 and the rest of Illinois to allow MORE standardized testing, even though they waste time and teach nothing to the students taking the tests. By doing poorly on purpose or clicking through the PARCC test it will show the state that we do NOT stand for standardized tests and will reflect Conant as a truly innovative learning environment.